Week four of our Summer Concert Series will take you to Eastern Europe with Chutzpah! 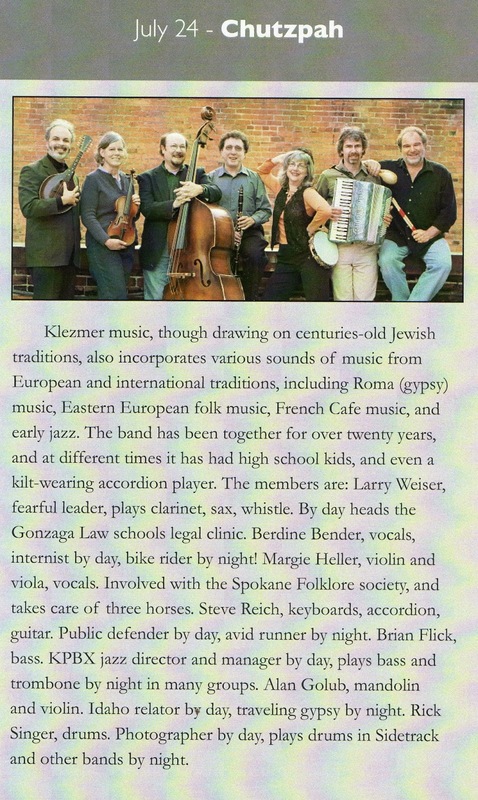 Chutzpah is a Klezmer Band of talented musicians that have been together almost as long as Jewish Tradition. The weather will be cooler, and I'm sure that you will be dancing the Horah before you even realize it. It starts at 6pm at the gazebo, and as always we are Family and Pet friendly.